Dreamstorming: Does Your Writing Move Your Readers? For the longest time, I wondered how some of the masters of writing fiction resonated with me as a reader, moved me to tears, or laughter, or rumination. No matter how many books I read, I could not figure out a 'one-size-fits-all' method I could use to connect, and connect at an intimate level, with my readers. And then I came across From Where You Dream by Pulitzer-winning author Robert Olen Butler. He talks of a method called Dreamstorming, which is basically method-acting in the process of writing. You enter a character's mind, heart, soul, and see, feel, touch, smell, taste, hear exactly what the character feels at any given moment. You go for one sensory hook, be it smell or touch or hearing or taste, and use that as your gateway into your character's subconscious--making the experience Real for your character, for you, and for your reader. As a technique, this is an invaluable tool to write flash fiction, and the first drafts of a short story or novel. I used it in my collection A to Z Stories of Life and Death, and felt validated when some of the reviews and comments pointed towards the moving quality of some of the stories. Butler recommends the same method for short stories and novels. He wants you to enter into a sort of dream-trance, and to try and reach for that genuine flash of sensory emotion, and write it down on index cards. Once you've generated as many index cards as you possibly can, he asks you to order them in a structure you think would create your story or novel. I've used this method, and it certainly beats pantsing it, which I tend to do, because in this case I can change/figure/ revise the structure during the index card stage, simply by moving the cards around and changing their position in the narrative. I've read quite a bit of Butler's writing--you can see his methods in action, largely successful. A word of caution, however: Butler's work lacks, in my humble opinion as a reader, a certain application of the mind. It is a surfeit of the senses, but sometimes it leaves me wondering if there is a point to it all. I'm happy to be transported into the character's world, but then I want to know why I was taken there: for some sort of epiphany, a perspective on life, entertainment? And in Butler's writing, the answer is not always clear or forthcoming. So I'm not sure I'll use Butler's method exclusively in all my writing--especially in the review and re-visioning drafts. This is because for me it is important that my writing not only move those who read my work, but also Resonate with them, make them Think as well as Feel. But that said, dream-storming is a useful device to have in a writer's toolbox, especially in stories/ novels where the connection between a reader and your character is not only important, but absolutely crucial. Have you used dream-storming in your writing before? If yes, did you find it useful? Damyanti lives more in her head than in this world, adores her husband, and loves her pet fish and plants. 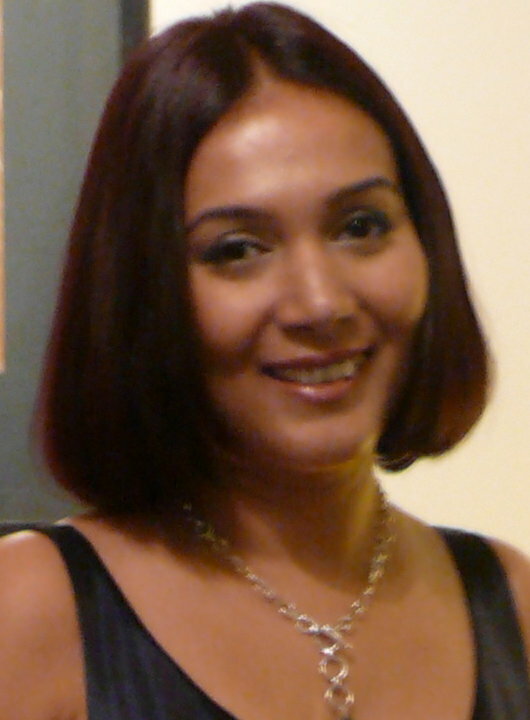 She is an established writer for magazines and journals. Her short fiction has been published in the Quarterly Literary Review Singapore, Muse India and in print anthologies by Marshall Cavendish, Monsoon Books, and MPH publications. Her book, A to Z Stories of Life and Death, is available for download on Kindle, Smashwords, Nook, and Diesel. When we start writing, we may simply want to write good stories, or get published somewhere. As we find our strengths, we narrow our focus. We like fiction or nonfiction, books or magazines, one genre or age range. Writers need another kind of focus as well. Where do you want to go in your writing life? Do you want to make a steady income? Or is it more important to write what you love, regardless of the market? Do you care more about winning awards, or getting laughs from reluctant readers? In my next few posts, I’ll talk about my personal journey, feature some other writers, and offer tips for setting your own goals. From the beginning, my focus was professional. I got my MA degree in Professional Writing and Publishing and worked for magazines. 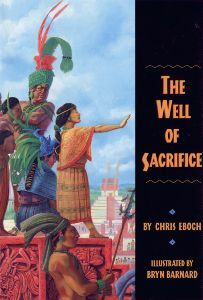 For fun, I wrote a historical adventure set in Mayan times, The Well of Sacrifice (Clarion, 1999), which is still used by schools when they teach Mayan history. But after that I couldn’t sell historical fiction. I wrote for children because I loved it. But I also wanted to live off of my writing, not hold down another job and write on the side. I pursued articles, work for hire, teaching, anything that might pay the bills. The jobs improved over time, both financially and in terms of enjoyment. I also got to work with editors and learn from their feedback. Ghostwriting a book about a popular girl sleuth taught me about cliffhanger endings. 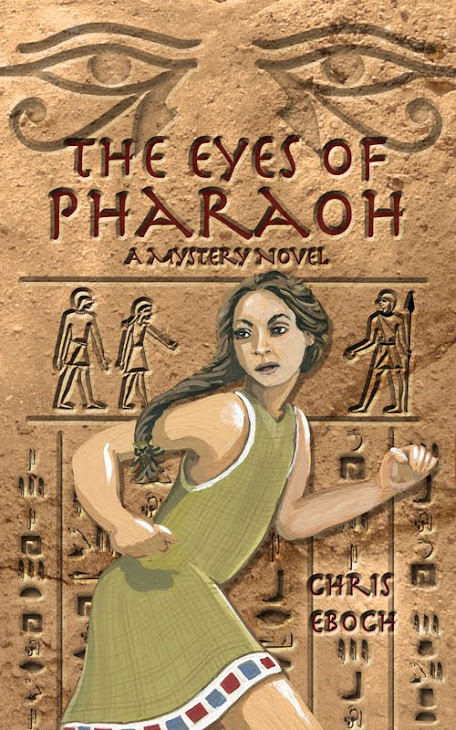 Writing fictionalized biographies on Jesse Owens and Milton Hershey let me practice fast-paced action and dialogue for young readers. Analyzing students’ stories for the Institute of Children’s Literature showed me vividly what worked and what didn’t. Best of all, I could support myself through writing, teaching, and critiquing. I kept working on my own projects as well. I developed a series about a brother and sister who travel with a ghost hunter TV show. It was fun to write, but it also hit the market—a quick, easy read for ages nine to 12, a contemporary story with a spooky supernatural element and some humor. Aladdin paperbacks launched this series, Haunted, in 2009, with The Ghost on the Stairs. I wrote something I loved and made good money from it. Unfortunately, the market changed, my editor lost an internal battle at the publisher, and the series got dropped (in other words, normal publishing upheavals). My editor became my agent, and together we brainstormed ideas that might hit the market. One of those is under development at a book packager. I also started writing for adults, under the name Kris Bock. This was largely motivated by the fact that I wanted a change. I found myself reading more romantic suspense, while the middle grade novels sat on my shelf until I had to return them to the library. But I also considered my career. Genre fiction was, in general, selling better and paying more money than writing for children. I didn’t have to choose between what I wanted to do and what someone else might want to buy; the two matched. I did, however, study the genre, both by reading books in the genre with a critical eye and by studying advice on writing romance. 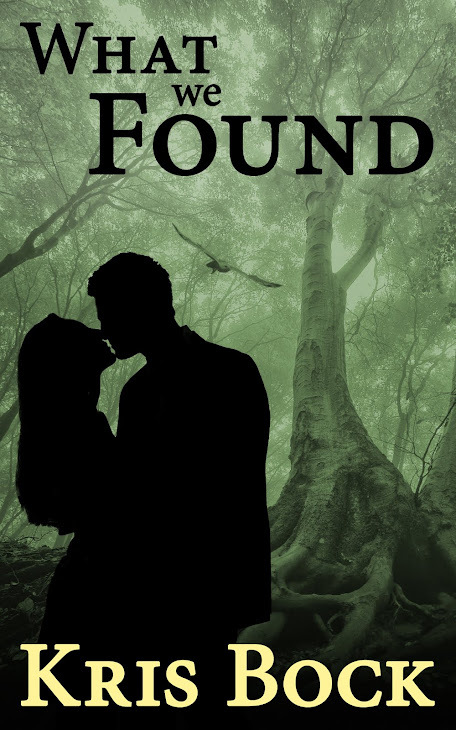 I needed to make sure I hit the proper word count, used the required basic elements of the genre (such as a satisfying happy ending), and matched a tone and point of view that readers would find comfortable. I also considered both my career and my preferences in terms of creating my “brand.” As Kris Bock, I focus on action-packed adventures set in the Southwest, often (at least in part) in the wilderness. So as I’ve shown, you don’t have to choose between writing what you love and building your career. You can combine the two, although it may mean adjusting or adapting to the market. It’s been a tough journey, with ups and downs over the years, and a lot of variety in the work I do: fiction and nonfiction, writing for children and adults, articles, books, teaching, critiquing, and more. But I enjoy it all, so it’s worked for me. Next week, I’ll let some other authors share insight on their career decisions. I’m deep in revisions, so I’ll share a little more about the process. I know a lot of authors wind up cutting huge chunks of material during revisions, especially in earlier drafts. One of my critique clients had an excellent story that, to me, started too slowly. She took several chapters to set up a situation, and we didn’t get to the main inciting incident for about 10 chapters. I suggested she cut a lot of the background and start closer to when this particular adventure started. I had to do this more often in my early novels. But now I seem to have a different problem. I generally wind up adding material during revisions, and cutting very little. I’m more of a plot-oriented author than a character-focused one, and over the years I’ve learned to write a tight, action-packed plot. My goal now is to make the most of my character, and that often means getting deeper into her head, sharing more of her thoughts, and adding material. Typically I already have plenty of action. What I need is more reaction. I need to let the character think about the situation, worry, get excited, hope, plan – something that keeps the reader connected to the character, so they care about her and her plight and don’t feel like they’re just watching a bunch of stuff happen to a stranger. Including this reaction lets us get to know the character much better. It can also increase tension, by showing what the character really wants or fears. It ups the stakes by showing us how important the situation is. Even if your stories are more character-driven, and you think you know your character well, consider checking your work to see if you are properly showing reaction. Often I find that writers skip over this. The author knows how his character feels, and why she’s reacting that way, but doesn’t put it on the page, because it seems obvious – but it’s only obvious to the author. Make sure you’re giving your character a chance to react, and you’re more likely to have fascinating characters, a dramatic plot, and rapt readers. 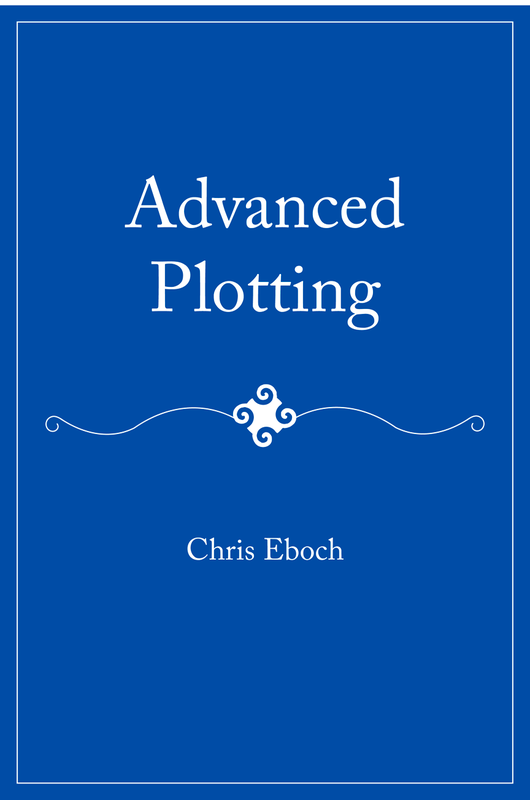 I go into more detail in my article "How to Write Vivid Scenes" in Advanced Plotting. See my critique rates and recommendations in the right-hand column or e-mail me through my website. What Can You Learn from Revisions? I’m revising a romantic suspense novel and, in an example of “doctor heal thyself,” using the Plot Outline Exercise in my Advanced Plotting book to analyze what I have so far and what I still need to do. These are final revisions, so I’m not making a lot of plot changes at this point, but I’m drawing more out of the heroine and giving her some epiphanies, which is deepening both her character arc and the theme. After doing the Plot Outline Exercise, I started studying the essay on Plotting like a Screenwriter by my brother, Doug Eboch. He discusses the Dramatic Question and how the character should have a dilemma. Since this novel is more of a “woman in peril” story in the style of Mary Stewart and Barbara Michaels, where the main character doesn’t realize at first that she’s stumbling into a dangerous situation, I had to ask myself about her initial dilemma. Some creepy and mysterious things happen in the first third of the book, but she’s not yet actively trying to solve a specific problem, since she doesn’t know what the problem is. Still, she does start the story with an initial dilemma, based on her back story. She’s recovering from an attack and the subsequent abandonment by her boyfriend, who couldn’t handle the situation. She’s trying to overcome her instinctive fears, find her independence, and ease herself back into normal life, including opening up to the chance of new love. So the Dramatic Question doesn’t on the surface have anything to do with the villains who are causing trouble. Rather it’s, “Will Kiley be able to face her fears and embrace life again?” The bad guys do provide obstacles, though, by tricking (betraying) her and exposing her to dangerous and frightening situations. This is the external journey that reveals her internal journey. If she can handle these troubles, she’ll have proven to herself that she can face her fears and live normally again. For this novel, at this stage of revisions, following Doug’s advice about plotting structure just means noticing and emphasizing certain points. For example, he discusses the Midpoint. In a movie with a happy ending, the Midpoint echoes that ending with a moment of seeming success (to be followed by a major setback and Moment of Apparent Failure at the Act 2 Break). I looked over my plot outline and saw that I had good midpoints for both the action plot and the romance, conveniently in consecutive chapters close to the middle of the novel. I could emphasize these successes by having Kiley acknowledged them more. She’s starting to recognize the bad guy and decides to cut ties with him. She also starts to realize the strength of her feelings for the hero. These successes will be balanced by the failures at the Act 2 Break, where the bad guy drags her back into trouble, and where she thinks the hero may have been killed. By having Kiley more aware of her feelings at the midpoint, it raises the stakes. She recognizes that she wants the hero and will lose something important if she doesn’t get him. These aren’t major, obvious changes. I suspect that if I gave the new draft back to my critique group, they wouldn’t even notice what I’ve done. But I bet it will make a difference in the emotional power of the novel. By exploring my story through revisions, using analytical tools to help me dig deeper, I learned more about my main character, and I can help her learn more about herself – resulting in a more powerful experience for the reader. Douglas J. Eboch is a writer, screenwriter and director, best known for writing the original screenplay for Sweet Home Alabama. He contributed a fabulous essay to Advanced Plotting, and he has a great screenwriting blog called Let’s Schmooze, where I find lots of helpful advice for novelists as well. He has also written creative content for a Facebook game called Nightmare Cove, an interactive horror story game. Log into your Facebook account and play it now! Chris also writes romantic suspense as by Kris Bock. 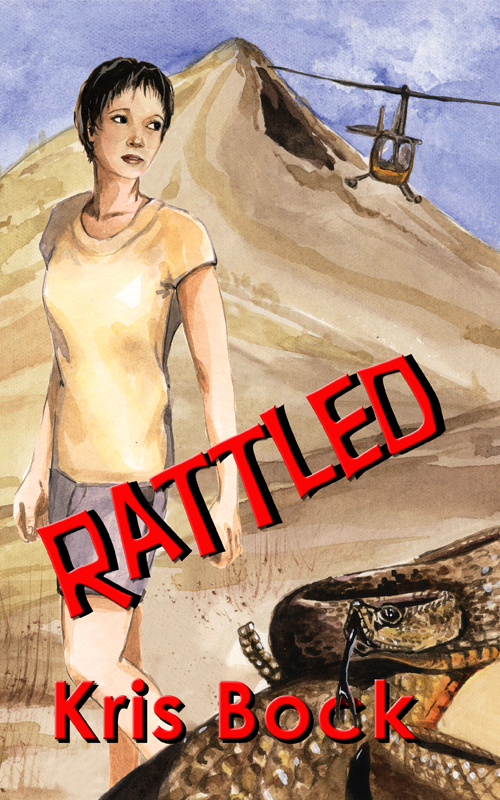 Visit www.krisbock.com to learn about her book Rattled, and to read the first three chapters.